This graphic fused-glass pendant comes in a riot of citrus-y colors. 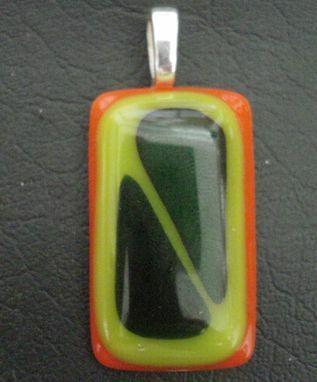 The lime green, orange, and dark green dichroic glass segments were fused together with a couple of firings in my kiln. 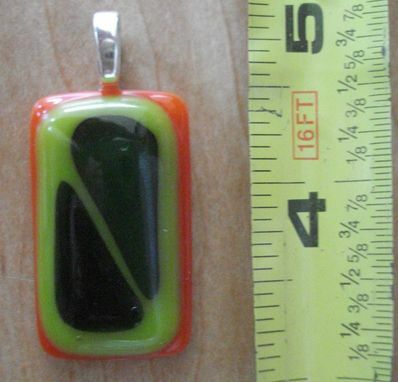 The 1 _'' x _'' pendant has a sterling silver loop.